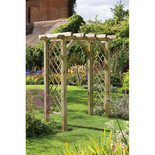 Forest 245x270x136 Large Ultima Pergola Arch - This extra wide garden arch features lattice panels for supporting climbing plants on this attractive chunky garden arch. 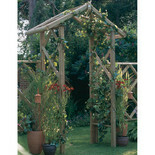 Forest 245x182x136 Ultima Pergola Arch - An attractive chunky garden arch featuring decorative lattice panels which are perfect for supporting climbing plants. 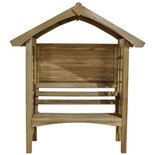 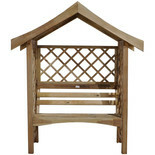 Forest 199x170x70cm Sienna Arbour - A perfectly formed arbour incorporating rebated lattice in the back and sides with a solid timber roof offering shelter and shade. 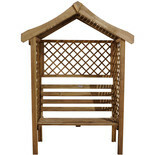 An elegant arbour seat with a solid roof and trellis back and sides to support climbing plants. 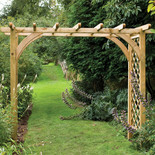 A traditional rose arch made from pressure treated timber with a rustic finish. 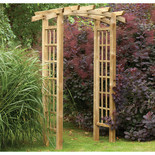 Attractive pergola style arch, planed for a smooth finish. 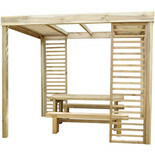 Transform your garden with this instant patio deck kit. 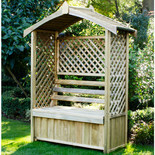 Supplied with full fixings and instructions. 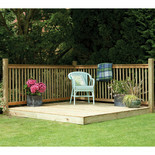 Can be laid directly onto an existing patio. 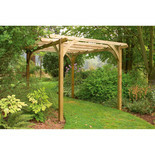 This chunky wooden pergola kit comes complete with all components and instructions. 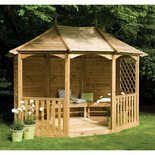 Featuring smooth planed timbers and rounded rafters for an attractive finish. 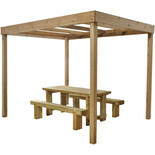 A modern pergola design which provides structure to an outdoor dining or entertaining area. 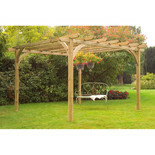 This version of the pergola is supplied without panels. 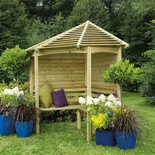 ***Seating not included.